Power tool race restart. 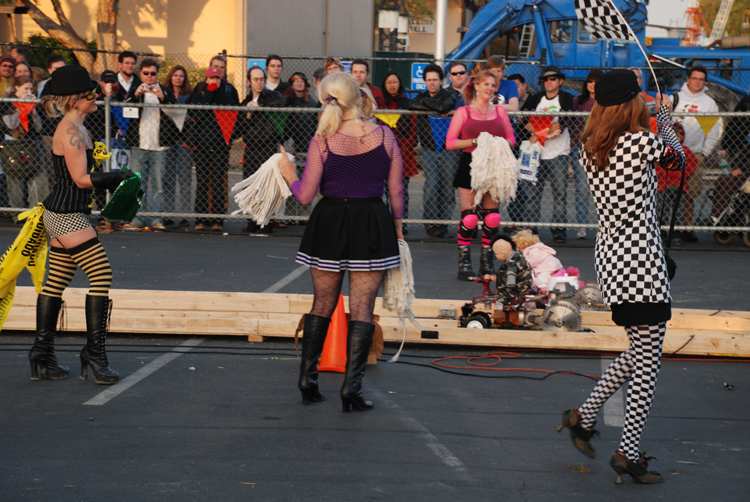 The cheerleaders kept the crowd interested during the lulls as people were setting up the racers. The winning time down the 75 foot track was something like 1.44 seconds.